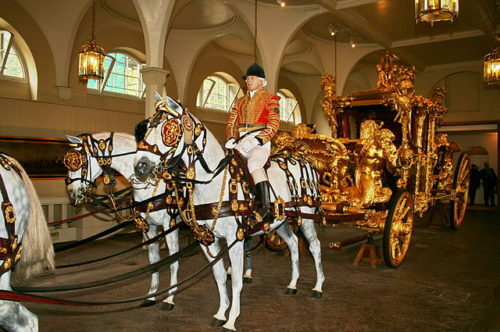 President Donald Trump will meet with Queen Elizabeth II in October, and sources tell The Times that the White House has made it clear that it expects he will be brought to the meeting in a golden coach, no matter the cost. President Obama waved the formality, instead choosing to arrive in an armored motorcade to spare the expense and effort required for the less gold-plated means of transport when he met with the queen in 2011. 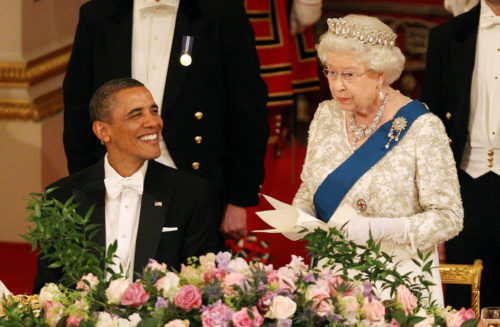 President Obama with Queen Elizabeth during his visit in 2011. Trump wouldn’t be the first to take the journey from Horse Guards Parade to Buckingham Palace in the horse drawn carriage. Mexican President Peña Nieto, Russian President Vladimir Putin, and and Chinese President Xi Jinping have all ridden in a carriage. Putin even opted for the less secure open carriage. Security sources say the precautions needed to keep Trump safe were already expected to be notable, with tens of thousands of people expected to show up to protest. A source explained to The Times why the carriage is such a worse option for protection compared to going for an armed motorcade. Hundreds of Secret Services agents, as well as both uniformed and plain clothes officers, will follow Trump along the route, as well as a counter-terrorism firearms unit.